Do you want to monitor the PC activities of your Children’s or Employee’s from Anywhere? Advanced Keylogger program is capable to monitor and record all online/offline activities of external users in your absence. Keystroke Logger software records online audio conversations, clipboard text entries, instant messages, websites visited and even capture the current windows screenshots on computer screen. Software keeps track of everything that is typed on keyboard like passwords, email ID, word documents, chat conversations etc. Stealth Keylogger tool works in hidden mode and remains invisible in Windows operating system including Add/Remove list, Start menu, Program folders and also not appears on the Desktop. PC Monitoring program is password protected preventing external users from modifying software configuration setting or making alterations in the log files. 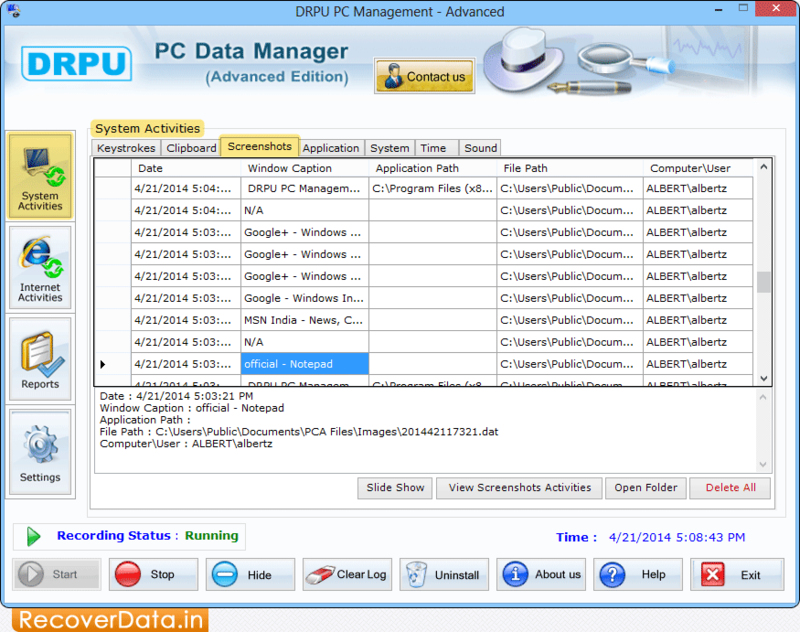 Application prepares log file details of the entire PC activity and saves log report in Text or Html file format. The emailing feature of software helps in delivering log files at your specified email address or upload log report using FTP server settings. Monitor the entire system and internet activities. Record login time and date of every session. 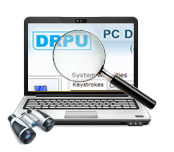 Software records every keyboard pressing activities like typed Passwords, User name, Email ID, etc. Records browsed web pages, temp files and internet cookies. Provides Hot key or Run command settings to access the hidden software. Deliver log report at specified email ID. Upload log files using FTP server settings. Saves the log report in Text or Html file format.